HALLOWEEN CANDY BUY BACK 2017 – CASH FOR CANDY TO SUPPORT THE TROOPS! Hudson Valley Pediatric Dentistry is participating in the annual Halloween Candy Buy Back to support our troops. If you’re interested in participating, please bring any unopened candy to our office – located at 75 Crystal Run Road, Suite 235, Middletown, NY – between November 1st and November 3rd. We will pay you $1 per pound of candy donated. The candy will then be used in care packages that get sent to our troops stationed overseas. Since this program started back in 2005, over 130 tons of candy has been collected and sent to our troops! Pregnant women should be sure to inform their dentist of their pregnancy so treatment plans can be adjusted accordingly. Certain procedures and medications may be tabled to avoid any risks to the baby’s health. 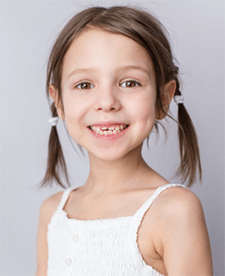 Yes, baby teeth eventually fall out — but passing poor dental habits on to your child can cause a lifetime of oral health problems. 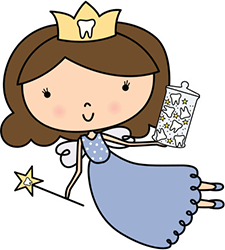 Teaching your child to brush and floss regularly can save him or her from painful cavities and gum disease now and in the future. Nowadays, in-office bleaching services use PH neutral solutions that are perfectly safe for your teeth. The treatment may cause tooth sensitivity, but only temporarily. If anything, it is the popular whitening trays bought over the counter that may prove problematic; prolonged immersion of the teeth in highly concentrated gels can cause lasting trauma. There is always a chance that an element of truth exists in the things you hear, but unless the advice comes from your dentist, don’t let it impact your approach to oral care. Get a professional opinion on dental matters or questions that interest you during your next appointment, or if you’re pressed for time, call your dentist for immediate clarification. Unfortunately, not everyone who should wear a mouth guard actually does. Whether you’re participating in a sport or grinding your teeth at night, a mouth guard could be critical. By learning more about them, you can make an informed decision as to whether to wear one. 1. Protection Against Tooth Fractures, Displacement, and Loss – If you play a sport, you’re at an increased risk of tooth fractures, displacement, or loss depending upon how hard you’re hit. A mouth guard can help minimize the impact, protecting your teeth and preventing costly dental repairs. 2. Protection Against Soft Tissue Injuries – If you play a sport, you could easily injure your tongue or cheeks with your teeth by applying too much pressure. A mouth guard will keep you from biting too hard and protects vulnerable soft tissues. 3. Protection Against Jaw Fractures – When you sustain a blow or pressure to your head, your teeth may knock together and, if the pressure is too great, it can result in a jaw fracture. 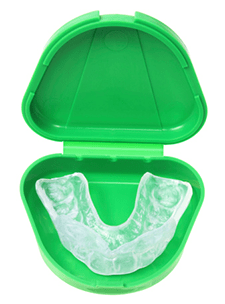 A mouth guard can cushion the blow and potentially prevent an oral health disaster. 4. Protection Against Issues Caused by Teeth Grinding – If you grind your teeth, you may experience popping and clicking of the jaw joint or even migraines due to spams in the muscles around your jaw. 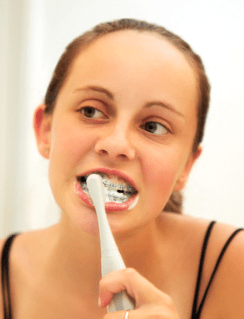 Wearing a mouth guard at night will protect your teeth and jaw from grinding and clenching. Stock Protectors – These are an inexpensive solution and can be purchased at sporting goods stores and drugstores. Most stock protectors require the jaw to be closed to hold them in place and are bulky and ill-fitting. Boil and Bite Protectors – Also sold at most sporting goods stores and drugstores, boil and bite protectors are made from thermoplastic and can be shaped around teeth after being placed in hot water. These protectors are slightly more expensive than stock protectors, but are more effective. Custom-Fitted Protectors – These are available at dental offices and are far superior in terms of quality and the protection they offer. They are designed from exact models of your teeth, which ensures a comfortable and proper fit. Good oral health begins with preventative measures including flossing daily, getting regular dental cleanings, and possibly wearing a mouth guard. Whether you play sports or grind your teeth at night, a mouth guard offers essential protection to keep your teeth safe and your smile looking great.